Last Weekend was the Kelby Worldwide Photo Walk 2017. This year I joined a group in Elora Ontario. Elora is a village with many tourist shops and plenty of photo opportunities. The group had a great time exploring the village. Each came back with their unique photographic take on this picturesque setting. This is the David Street Bridge spanning the Irvine River portion of the Gorge. 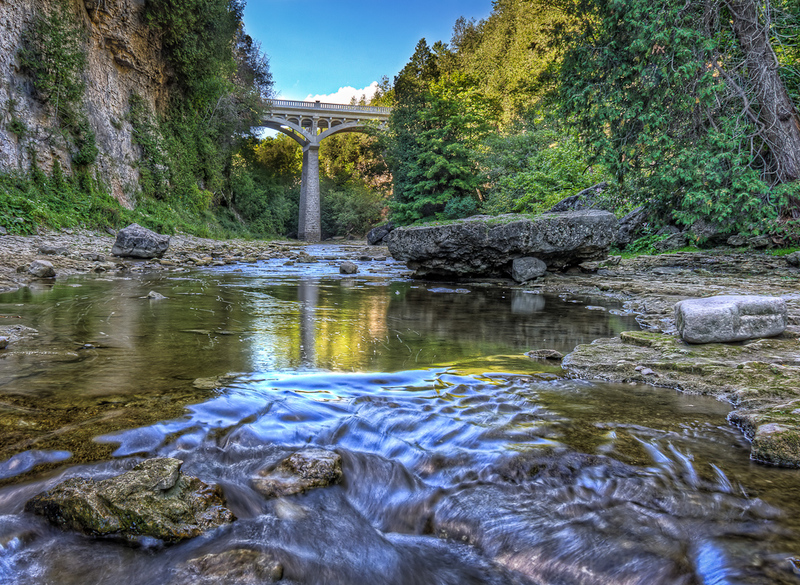 “The first bridge in this location over the Elora Gorge was a simple wooden span built over the winter of 1847-48, while the second was a bowstring bridge completed in 1859. The third version, built in 1867, incorporated a stone central pier, which has become the bridge’s defining architectural feature.